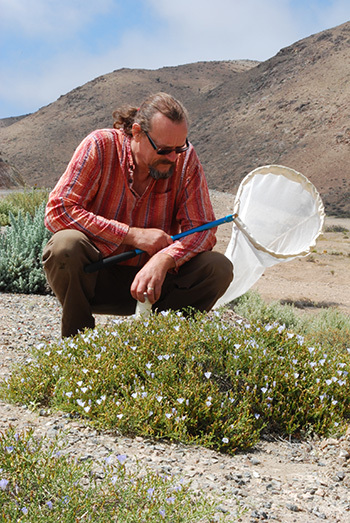 Dr. Laurence Packer has been a lifelong entomologist. Bees are his specialty, but his interest in six-legged creatures began at a very early age. Jovial and forthcoming, Dr. Packer is all too eager to regale his listeners with tales of nature’s most popular pollinator. 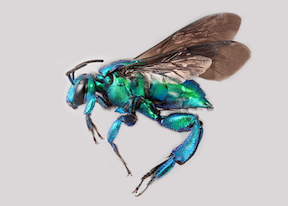 His research has taken him across the world and to almost every continent in search of new species of Apoidea (the superfamily that includes wasps and bees), and he has documented his travels in the book, Keeping the Bees, which was recently reprinted in a new paperback edition. In the book, Packer talks relatively little about honeybees, whose preeminent place in the media has obscured the 20,000 or so other species of bee. 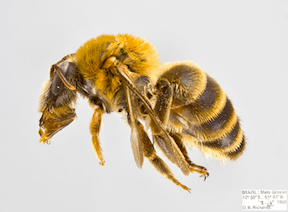 While Colony Collapse Disorder has decimated populations of honeybees across the U.S. and remains a significant concern among beekeepers and agriculturists, it is a phenomenon that affects a small percentage of worldwide bee species. 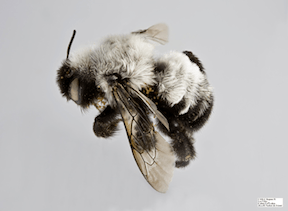 Packer’s book focuses on wild bees, less well known but in no lesser danger of disappearing. 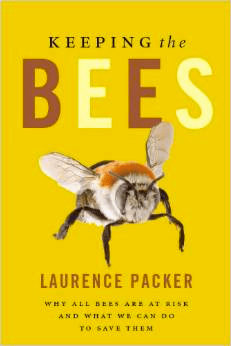 A melittologist (one who studies wild bees), Dr. Laurence Packer obtained his B.A. in Zoology from the University of Oxford. He went on to earn his Ph.D. from the University of Toronto and is currently a Professor of Biology at York University, where he has served since 1988. Last weekend, he took some time out of his busy schedule to discuss his work with Planet Experts. But in the last few decades there are fewer bees to look at. Packer and his colleagues have analyzed the data and the fact is unavoidable. “There are definite declines both in terms of number of species and in terms of the abundance of some species,” he explains. In the U.S. in northern California and southern Oregon, Franklin’s Bumblebee has suffered the same fate. “That’s a bumblebee that may well be extinct,” Packer says. The same is true for species across North America and Europe. Why, exactly, is not clear (the studies are ongoing), but Packer enumerates several contributing factors. “It could be a mixture of chemicals and diseases,” he says. 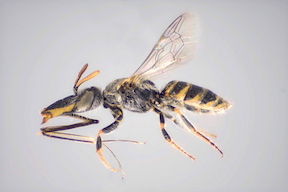 “Certainly disease spread has been implicated in the catastrophic reduction of what is one of the biggest bees on the planet, which is found in Patagonia, Southern Chile and Southern Argentina. “When they introduced bumblebees from Europe for greenhouse pollination, the diseases that came with them got out – the bees escaped – and are taking over the southern parts of those countries. 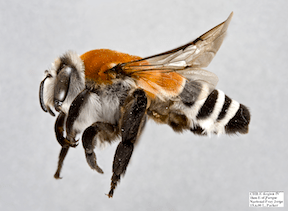 The native bee that suffered as a result (Bombus dahlbomii) was a spectacularly beautiful thing. It was bright orange – it looked like a flying hamster. To illustrate, Packer points to an important study by the nineteenth century entomologist Charles Robertson. In the late 1800s and early 1900s, Robertson rode around Carlinville, Illinois in a horse and buggy, documenting all the bee species he could find. The study was replicated around 1970 and turned up most of the same species. Then something changed. Most wild pollinators are bees, and a drop in global bee populations will have a correlative effect on global crops. But Packer is quick to point out that the impact won’t be as catastrophic as it is sometimes claimed to be. Ultimately, this simplification will be what harms crops. The more succulent and nutritionally valuable foods – most fruits, vegetables and nuts – require pollination, and the best kind of pollination is achieved when multiple species are involved. “Having a diversity of pollinators actually increases the yields. There have been studies done on watermelon and other crops that show that even if you keep the number of flower visits the same, if you get ten visits per flower, it’s better to have each of those visits done by a different species of bee than having them all done by the same one. “Presumably this is because each bee visits the flower in a somewhat different way, each species will deposit pollen somewhere slightly different on the stigma. For example, with watermelons, to get a good nice oval watermelon you need 1,750 pollen grains. It may take half a dozen visits to do that. If they’re all done by one species of bee, maybe those pollen grains will stack on top of each other and some of them can’t develop into the stigma and end up fertilizing what becomes a seed. 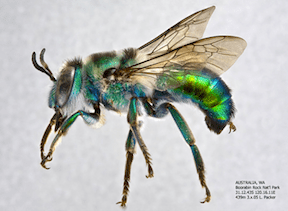 What Can Individuals Do to Support Wild Bee Species? One of the major dangers facing bees is the use of pesticides on crops. There is a well-documented link between neonicotinoids (an insecticide derived from nicotine) and nervous system damage in honeybees. Less well-documented is their effect on wild bees, though Packer notes that when Europe implemented a temporary two year ban on general pesticide use, honeybee populations made a fairly quick recovery. Encouraging a diversity of bees is integral to a healthy ecosystem, and relatively easy. On the other hand, says Packer, it involves a few practices that are counter-intuitive to a tidy garden. Avoid using chemicals in your garden and avoid the standard-issue horticultural varieties. “The plants that are best for bees are going to be the ones that are comparatively easy for them to get pollen in. Wild roses are really good because it’s like a saucer of food for the bee because the anthers are sticking out in the middle and the bees can just land on the plant and get the pollen straight away. “You get a horticultural variety rose and all the petals are crowded together and the bee has to force its way through.” Packer dismisses these flowers from the bees’ perspective. “I don’t think many of them bother. They might land on the flower, wander around for a bit confused, and then leave. Dr. Packer’s book, Keeping the Bees, is now available in e-book and paperback formats.